For parents who are of above average height, it can be challenging to find a stroller that has the features you want with the height you need. Fortunately, finding the best stroller for tall parents is a personal mission of ours, so we’ve compiled a buying guide with our top picks. 2.1 How Tall is the Average Stroller Handle? 2.3 How “Adjustable” Is Adjustable? 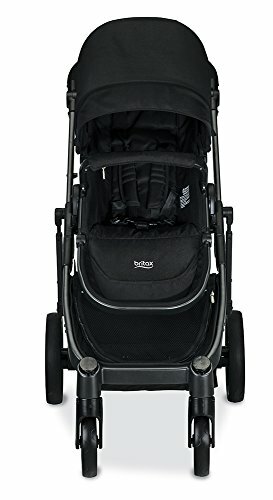 4.0.1 Q: Are all strollers adjustable in height? 4.0.2 Q: How tall is an average stroller? 4.0.3 Q: Are adjustable strollers more expensive? 4.0.4 Q: Can I get a handlebar extender for my stroller? 4.0.5 Q: Can I DIY a solution to make a stroller’s handlebars taller? Here are the top five strollers we’ve found that have great features for taller moms and dads. 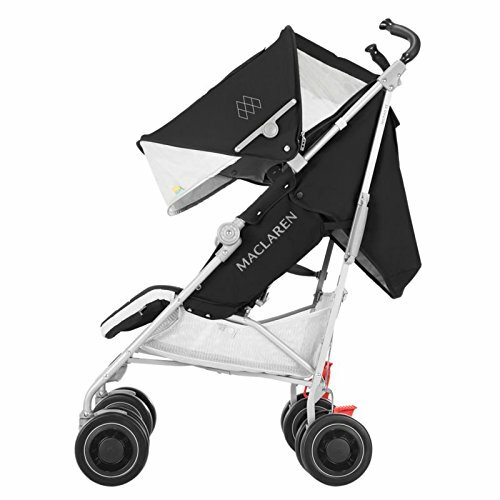 Maclaren has a reputation for lightweight and compact umbrella strollers for a variety of needs. And they haven’t disappointed with the Techno XT, which features height adjustable handles as one of its top offerings. The Techno XT accommodates children from newborn to 55 pounds with its full recline ability, so you won’t need to wait until your little one can sit up to use this umbrella stroller. And, when you use the stroller lying flat for a smaller baby, the seat folds up to cocoon your little one inside and creates a barrier so they can’t slip out. Each Techno XT also comes with a waterproof UPF +50 rated sun visor/hood which allows you to see your child through the viewing window. And while there are no cupholders or other parent storage over the handlebars, there is a small pocket to hold keys or other little items. 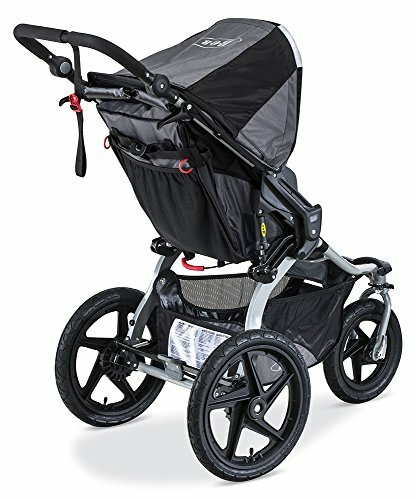 The BOB Revolution stroller is one of our top picks in the jogging stroller category, and both the Flex and PRO models have adjustable handlebars that are ideal for tall parents. If you’re a parent who is both very tall and very active, you’ll appreciate BOB’s adjustable height handlebars that range from 34 to 45 inches tall. If you need a few more inches of height and have twins, BOB’s Strides and Revolution Duallie strollers (both double models) have handlebars about 50 inches high. The BOB Revolution Flex fits children and babies from eight weeks to 75 pounds, meaning you’ll get a lifetime of use out of this one. And, the height adjustment is simple—the handlebar spins to accommodate different height users. 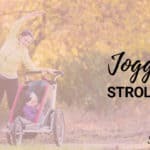 If you’re looking for a jogging stroller for an older baby or a jogger to use with a compatible infant car seat, this one might fit the bill! Here’s everything we like (and don’t) about the BOB Revolution line. While there’s an entire range of Britax strollers, the B-Ready might just be the most versatile. With 12 seating configurations that span both single and double accommodations, this stroller is a helpful solution for families with more than one child. The stroller can fold with not one but two seats attached to it, and an overall weight limit of 90 pounds means you can fit two toddlers comfortably. You can also use a compatible infant car seat (either Britax or BOB brand) with the stroller, making it a complete travel system. Infant ready, lie-flat seat with adjustable footrest and bassinet mode fabric panels. Car Seat Compatible (Peg Perego, Nuna, Cybex, Maxi Cosi, Chicco & Graco) & Bassinet compatible. Sold separate. Lightweight (24lbs) with one step, compact fold (11.5"H) with auto lock and standing stow. A luxury-level stroller that can handle any terrain, the Bumbleride Indie has an impressive adjustable handle height of 45 inches. It uses recycled materials to be more eco-friendly, but the seat and footrest are comfortable for the tot on board. It may be a hybrid between a convertible stroller and a jogger, but that’s a plus for parents of newborns since it folds completely flat to accommodate even the smallest infants. Infant seat compatibility is also a plus, although the footrest converts the seat into a cozier mode for little babies. Here’s more about the things we like and the things we don’t when it comes to the Bumbleride Indie, as well as its sibling for parents of multiples—the Indie Twin. There’s also a twin model available since tall parents can have twins too! It earns high reviews in many areas, but we also like this umbrella stroller for its serious handlebar height—its top height is 42 inches, making it accessible for many taller parents. But the UPPAbaby G-LITE stroller is also lightweight and quite handy in its trim form. If you’re in the market for a handy and convenient umbrella stroller that won’t require you to slouch, UPPAbaby can meet that need. The G-Lite is a no-frills stroller that can carry preschoolers up to 55 pounds but weighs in at just over ten pounds itself. Here’s everything tall parents need to know when shopping for a stroller that’s accessible and comfortable. How Tall is the Average Stroller Handle? Although every stroller’s dimensions and specifications are different, most are made to accommodate a range of parent heights. But because the calculations tend to use averages, there will be parents who are left off of the map! In general, stroller handles can measure from 39 to 44 inches from the ground, if not higher or lower depending on the manufacturer and the specific features the brand focuses on. In general, umbrella strollers tend to have lower handle heights than full-size strollers, often to keep a trim profile when folded, but there are exceptions to the rule! Just like there are no average babies, there are also no average parents! Babies come in all sizes and shapes, and so do moms and dads. This means that just because a stroller has a ton of great reviews from self-proclaimed tall people, it could still be the wrong fit for your family. In addition to overall height, a parent’s proportions are a factor too. If you have a longer torso, for example, you might find yourself leaning over your child’s stroller to reach the handlebars, whereas another parent of the same height may be able to reach without bending. It all depends on your proportions in addition to your overall height, and parents whose statures are very different will likely find it the most challenging to pick a stroller that suits them both. Of course, there’s no rule saying you can’t have multiple strollers—such as one for each parent when it’s their time to be with the baby for an extended period. 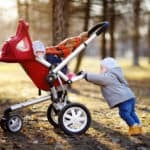 Either way, repeatedly leaning and bending to push your child’s stroller could contribute to back injuries over time in new parents, especially. To avoid this, keep reading! While saying that a stroller has an adjustable or telescoping handle is great, that doesn’t tell parents much about the exact adjustability. Some strollers might only adjust a matter of centimeters, so this is an essential consideration for taller parents who need an extra few inches or more! Also, the ease of adjustability is significant, too. If adjusting the handlebars of the stroller requires a screwdriver and 20 minutes of patience, for example, that’s not a user-friendly feature for tall parents. The best stroller for tall parents will have an easily adjustable handle or grips, not one which requires pages of instructions and piles of tools to figure out. Here’s what to look for when it comes to picking out the right stroller for your tall parent needs. Look for a higher-height stroller. The taller the child’s seat, the taller the overall stroller will be—and it just might have a handle long enough that you can push it comfortably. Seek out an easily adjustable handlebar. As mentioned, the easier a handlebar is to adjust, the better and more comfortable experience you’ll have using it. The best adjustable strollers or telescoping handles only require a button or two to operate and adjust. Consider different brands. Even if you really like the features or the look of a specific brand, some brands just don’t offer adjustable handlebars. It pays to do your research (or take advantage of the research we’ve done!) to find a stroller that has everything (or most everything) you want in a single package. Consider multiple strollers. As we suggested, if possible, sometimes it’s easier for the taller parent to have their own stroller which is at a comfortable height. This way, if mom is shorter and dad is taller, for example, the two don’t have to switch the stroller back and forth every time the baby needs to ride in it. While it’s nice to have a stroller that’s comfortable and accessible for both parents to use, you may also want to consider the following if you’re a taller-than-average parent shopping for a stroller. How often you’ll use the stroller. If you plan to occasionally take walks with your child or just need a stroller for school pickup for your older kids, it may not be worth seeking a stroller with a taller handlebar height. Consider how much time you’ll be spending pushing the stroller; if it’s not much, especially compared to how often your shorter partner will be using it, it may not be worth worrying about. In what setting you’ll use the stroller. For parents who want to bring their kids while they go on a jog or those who typically walk a few miles per week (or even per day), it is worth picking the most comfortable and feature-rich stroller. In terms of taller parents being comfortable, of course, handlebar height matters. Your child’s needs. Some of the tallest strollers might be umbrella strollers or joggers, but you likely won’t want either of these if you’re shopping for a stroller for a small infant. Depending on whether you need a stroller that reclines flat or one which accommodates an infant car seat, you may find your options limited in terms of height, at least until your child is older. While we’ve listed our top five picks, there are a handful of other strollers that are helpful for tall parents. Here are the brands we think are best for taller moms and dads to choose from. 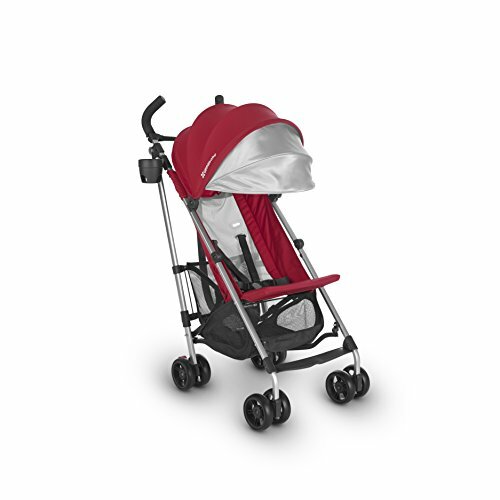 Maclaren strollers have been around for a long time, and that’s part of the reason why their umbrella strollers often rank highly on many must-buy lists. 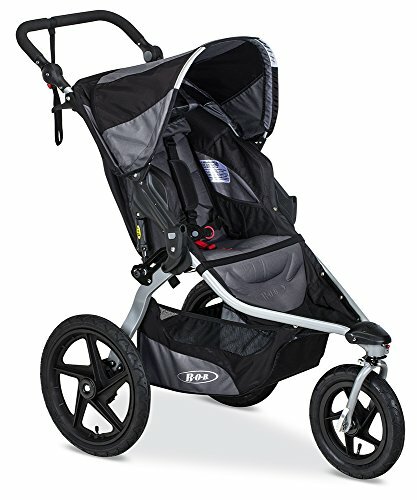 The frames are lightweight, the features are rich, and the strollers are plenty tall enough for taller moms and dads. BOB is an outdoors brand that focuses on sporty jogging strollers for families of singletons and multiples. Their strollers are rugged, hardworking, and often tall enough for even the tallest caregiver out there. Another brand with an extensive product collection is Britax. From their travel systems to their car seats, Britax’s offerings include plenty of adjustable and higher-height stroller handle selections. One of the most notable contributors to the eco-friendly stroller market, Bumbleride caters to active parents’ needs with hybrid strollers for jogging and more. Their stroller handle heights are some of the highest available. 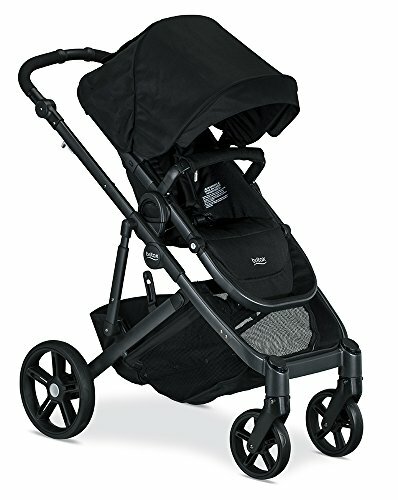 They produce one of the most compact strollers out there, but that doesn’t mean the features are lacking. UPPAbaby’s strollers tend to have higher handle heights from the start, but they offer a range of umbrella and full-size strollers. Here are some frequently asked questions about strollers for tall parents. Q: Are all strollers adjustable in height? A: No, not all strollers are adjustable—in fact, many strollers have no adjustability at all apart from recline features. Q: How tall is an average stroller? A: Average stroller height varies because there are so many different manufacturers and styles of strollers available. Most strollers have a handle height that falls somewhere between 34 and 45 inches tall. 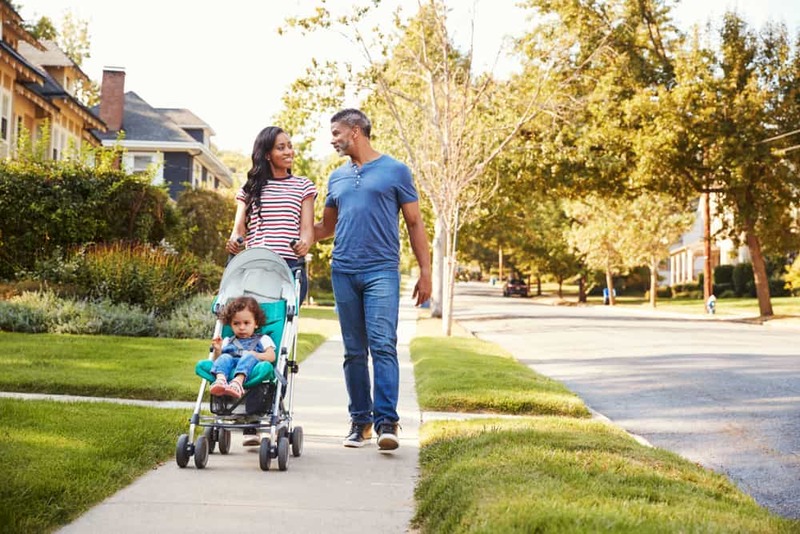 However, strollers for taller parents can often be up to nearly 50 inches high, which is why we’ve created this buying guide, to point them out to you! Q: Are adjustable strollers more expensive? A: In our experience, there’s always a budget-friendly pick for every parent’s needs, regardless of whether that’s handle height or another feature. It just takes a little digging to find the most affordable option. Q: Can I get a handlebar extender for my stroller? A: Some brands do offer handlebar extenders for their strollers—for example, Peg Perego offers handlebar extenders for their standard-height strollers. This can be a great option for parents who may have already purchased a Peg Perego, or those who have their heart set on one! Q: Can I DIY a solution to make a stroller’s handlebars taller? A: There are DIY solutions to help you get a good grip while pushing a stroller whose handlebars are too low. 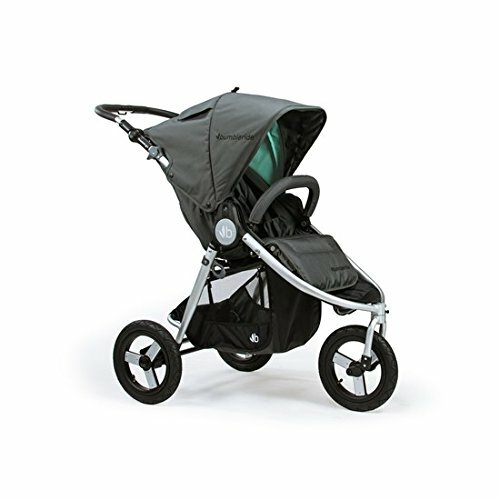 However, this might not be an ideal long-term fix, both in terms of comfort and wear and tear on your stroller. Ideally, you want to purchase a stroller that fits you and your child, and that’s what we recommend for the whole family’s comfort and enjoyment! As many options as there are for taller parents when it comes to adjustable strollers, we’d have to say that the Maclaren Techno XT is the winner in this lineup. It’s compact and narrow, ideal for navigating school pickups and city streets, but it also reclines flat for babies of all ages to have a comfortable and safe ride. 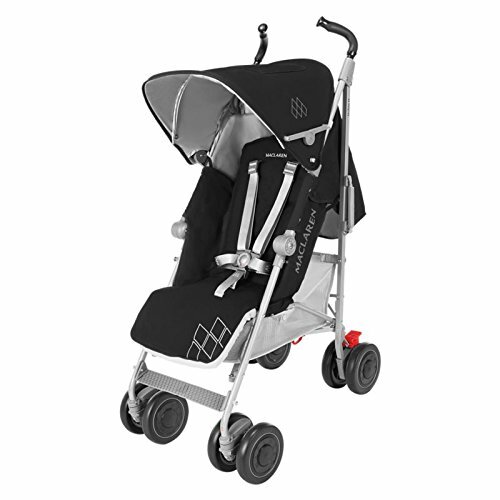 And while it may not be in the same price range as a typical umbrella stroller, the features the Maclaren packs are worth the investment. Also, this is one of the most affordable picks when it comes to higher handle heights for tall parents, making the Maclaren the one to choose. Ready to get your own Maclaren? Click here to buy now on Amazon.